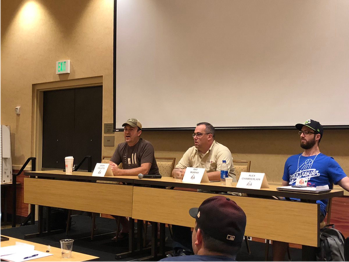 I attended the 2018 First Pitch Forums in Arizona a couple weekends ago and sat on a panel with Ray Murphy of BaseballHQ and Alex Chamberlain of FanGraphs to discuss some of the recent changes to the baseball landscape. The first thing we discussed was the impact of "The Opener" strategy on fantasy baseball. I took the opportunity to once again beat the drum for the Times Through the Order Penalty (TTOP). The Opener has lovers and haters; I fall in the former category. The haters will say that strategy only looked great for Tampa Bay because Blake Snell was incredible and heavily influenced the team's ERA. To wit, the team had a 3.49 ERA from the first time Sergio Romo opened a game until the end of the season. That figure was the third-best ERA over that time, trailing only the Dodgers (3.19) and Astros (3.37). If we remove Snell's contributions to that body of work, the Rays' ERA drops to 3.73, which would have dropped them to seventh best league-wide.